Professor Max will be teaching at The Event College at Rolex! Photo by Samantha Clark. Almost everyone in the eventing world is familiar with the name Max, and she barely even needs her last name for recognition. A world famous super groom, Max worked closely with the O’Connor Event Team for many years before deciding to go out on her own. 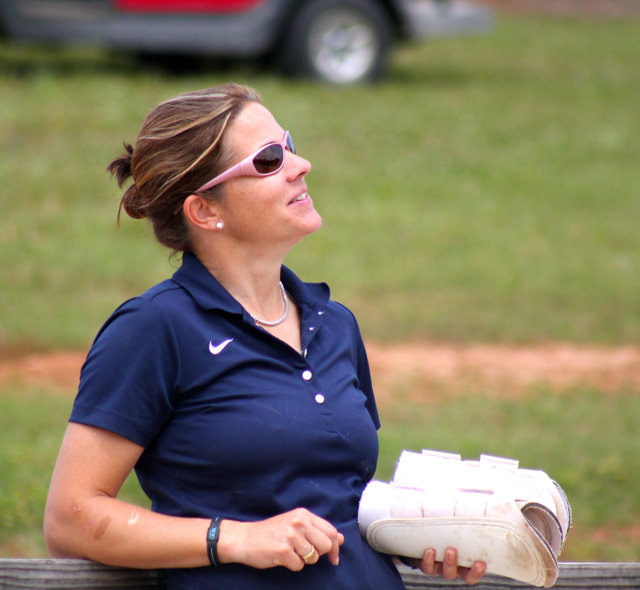 Always up for sharing her vast expanse of knowledge, Max gives horsemanship clinics around the country in addition to continuing to care for some of the most high profile horses in the USA. She recently did an interview with Pro Equine Grooms and talked about her start in the industry and how she found success. How did you get a job as a groom? What would you tell someone that wants to groom? Max: “My first job as a groom was with Bobby Costello when I was 12. I was riding and working off lessons at a barn in South Hamilton, MA that was less than 1 mile to Ledyard and was fascinated by eventing. Bobby grew up at same barn and was starting to do some teaching; he took me under his wing. I competed through training level borrowing horses from people where ever I could. I knew I wanted to be with horses at the highest level and was never going to get there riding, so this was the best way to keep them in my life. Click HERE to read the full interview with Max.